Ridgewall Group provides managed services for business. Our experienced sales and support professionals are available to help 24/7. Complete the form below to contact with our team. Enhance IT responsiveness as you manage and control your data across Private, Public and Hybrid Cloud resources. Transform your Data Protection, on premises and across clouds with our comprehensive suite of advanced Threat Protection and Security Products. Cost effective IT Infrastructure that fits your business, delivering fast, secure digital solutions to your customers and employees. Create comprehensive and effective collaborative experiences in one secure, fast and reliable Unified Communications suite. Help when you need it, prevent issues and solve problems quickly with our team of Dedicated Support professionals and Customer Portal. Enabling you to meet industry Compliance or Regulatory demands, developing the skills your team needs. Explore the many valuable Support Services that are available to Ridgewall IT Solutions, and Print Management customers. 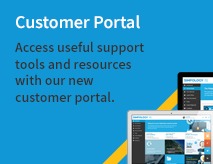 Access dedicated customer resources, Online Support Tools, Technical Assistance, Software Downloads and much more. A comprehensive library of Documents, Presetations and Videos to help guide you through our extensive product portfolio. Need product advice or technical assistance then contact a member of our Dedicated Team of strategy and service experts. Ridgewall are one of the UK's leading providers of Managed IT and Print Services, delivering award winning solutions for our customers. Delivering IT and Print Solutions for some of the UK’s and the world’s most respected companies and brands. Join our team of committed, conscientious, energetic professionals, who love the challenges and rewards that come with working at Ridgewall. Compliance is not just about ticking boxes, we have invested in gaining several ISO standards because we believe in the philosophy behind them. The technology landscape is changing, see how you can take advantage of the latest technologies and engage with us. Want to know more about the Cloud or the best way to maintain Business Continuity during an office move? Our guides can help. We have helped many customers to use Technology Products & Services to improve their business. Find out what and how we did it. Download our latest company and service presentations. View our library of Video Guides, product and application Tutorials. Quick to deploy with immediate protection against, Phishing, Botnets, Ransomware and Malware, all for one low monthly cost. An effective and fully managed service, staffed by highly skilled engineers who’s sole focus is protecting you. We provide a wide and diverse range of solutions for securing your infrastructure. Our experience and capabilities mean we can deliver value to clients across all industry sectors, public and private. On Premise or in the Cloud, with our comprehensive suite of advanced Cyber Security solutions and services. Tailor your business needs with Ridgewall's Managed IT Services, secure & scalable solutions. End-to-end proactive protection for your physical and virtual systems, delivered by experts 24x7. Empowering your business, transforming the way you work on the move. Delivering Hosted & IP Telephony deployed to meet your specific objectives, internet provision. Helping you take control of print costs and reliability, supported 24/7. Improve performance, reduce costs and maximise your IT investment. Ridgewall deliver bespoke products and services within the hospitality sector all back up with 24/7 support. Helping Learndirect performe better with our suite of Managed IT, Cybersecurity and Managed Print solutions. Delivering IT and print solutions for one of the World's leading brands. Proving managed IT and print solutions to Duke of Edinburgh. Enabling Clarke Transport to fully managed their print across the UK. Our smart cyber security, IT and Cloud services will transform your business. © 2019 Ridgewall. All Rights Reserved.